Some day I will have a ridiculously large backyard covered with garden plots filled with every vegetable, flower, and herb you can think of. I will also have enough time to tend to said garden through the seasons. Some day. While we currently have a decent enough sized backyard, it doesn’t really get the optimal amount of sun vs. shade (file that one under things you don’t think of before you become a homeowner). Nor can I seem to find the time to spend endless hours in the yard caring for these potential plants. So for now, I’m happy with my large deck herb and pepper garden. Not having to purchase basil, mint, and parsley all summer long makes my heart sing. Plus, you should see how many jalapeños we have! But now that summer is coming to an end, I’m trying to think quickly about how to enjoy as many of the remaining herbs as I can. While freezing them is always an option, I prefer to turn them into simple syrups so I can add them to my cocktails for the next few weeks. First up… Chocolate mint! Chris bought a beautiful chocolate mint plant at the beginning of the summer and we ended up with a whole lot of chocolate mint (if you should know anything about planting mint, it’s that it grows at a crazy rate), but not a ton of opportunity to use it. I knew it would make an awesome simple syrup, so I got out my sugar and a mason jar and whipped it up. It took me a little while to decide on a cocktail to incorporate it into, but I went with a simple gin-based drink with with coconut soda water. A little bit tropical, a little bit celebratory (come on, doesn’t chocolate mint make you want to party?) with the perfect balance of alcohol. I played around with the name a bit because I didn’t want to deceive anyone into thinking there was actual chocolate in this drink (chocolate and gin? I’ve never tried that combination before! ), but I loved the flavor of the chocolate mint and wanted it in there. If you don’t have chocolate mint laying around (or taking over your back deck), you can definitely use regular mint. If you’re wondering, I got these amazing glasses from the Oh Joy collection for Target. Oh Joy is my obsession and I own almost all of her housewares. These glasses just went on clearance and I may have bought a couple more sets of them. Not only are they so my style, but they are actually quite heavy and great quality. Even just drinking water out of them makes me happy. But obviously drinking cocktails out of them makes me even happier. I’m pretty sure that’s what they were made for, anyway. That Joy is a smart lady. I think the world would be a better place if everyone kept a mason jar or two of simple syrup in their refrigerator at all times. I recommend a plain version and a fun version. Chocolate mint qualifies as a fun version. You can put a tiny bit in a glass of seltzer water to brighten up your boring old water a bit. Or you can make a real cocktail on a Friday night. Or a Wednesday. Which is when I usually need a cocktail. I’m a huge La Croix seltzer fan and love so many of their flavors, but the coconut flavor is the one that seriously won me over. I drink it all year-round, so I can always feel like I’m in beach-mode. 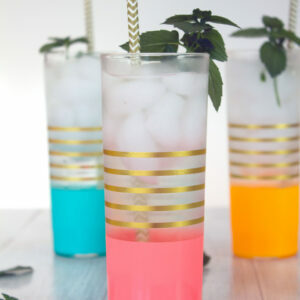 I almost used a plain seltzer in this cocktail since I knew there were already a few flavors going on… But then I made a last minute swap to coconut for a full-on tropical feel. Do you have a garden or grow any fresh herbs? 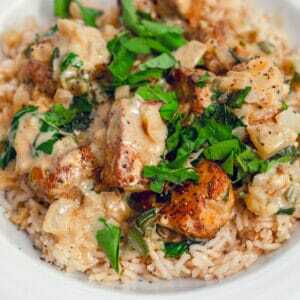 Don't know what to do with your plethora of fresh herbs at the end of the summer? 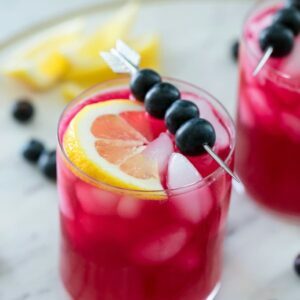 Make simple syrup and relax with a cocktail! This Chocolate Mint Coconut Gin Soda combines a fresh chocolate mint simple syrup, gin, and coconut seltzer water for the perfect fizzy treat. Fill a tall glass with ice. Pour in chocolate mint simple syrup and gin. Top with coconut seltzer. Garnish with chocolate mint leaves for serving. Combine sugar, water, and chocolate mint in a medium-sized saucepan over medium-high heat. Bring to a boil. 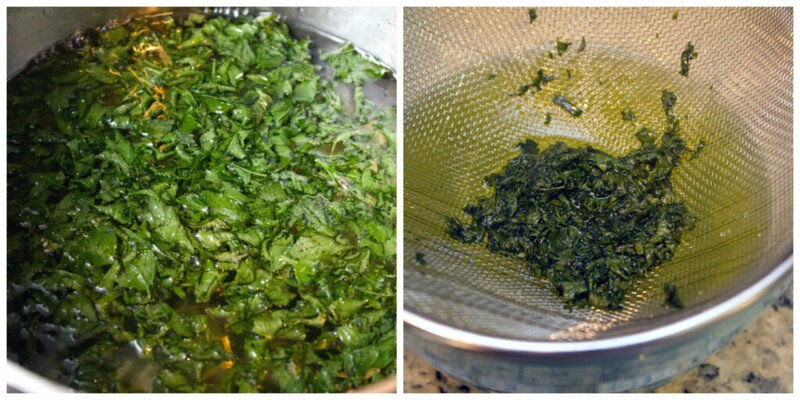 Strain mint leaves from syrup and pour syrup into jar or bowl to let cool to room temperature. 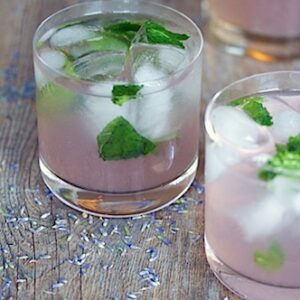 15 Responses to "Chocolate Mint Coconut Gin Soda"
You had me at chocolate and mint! What a perfect combination, Sues! Is it bad that I want this drink for breakfast?! Love it! Goodness, this sounds delicious! I am all about the combination of chocolate mint and coconut!! Cheers! Obsessed with those Oh Joy glasses! Too cute. I bet this would be good with vodka too. 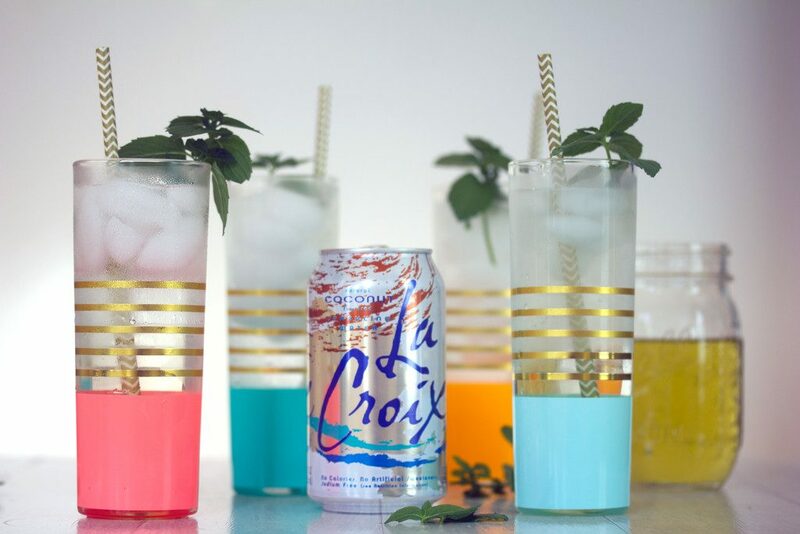 I love using La Croix waters in my cocktails… no calories or sodium! Perfect for these humid afternoons we’ve been having! I love all the flavors! Plus I love the glasses – so pretty! Wow, nice combination Sues…is sure sounds delicious and so refreshing, especially with fresh mint. This is fantastic! 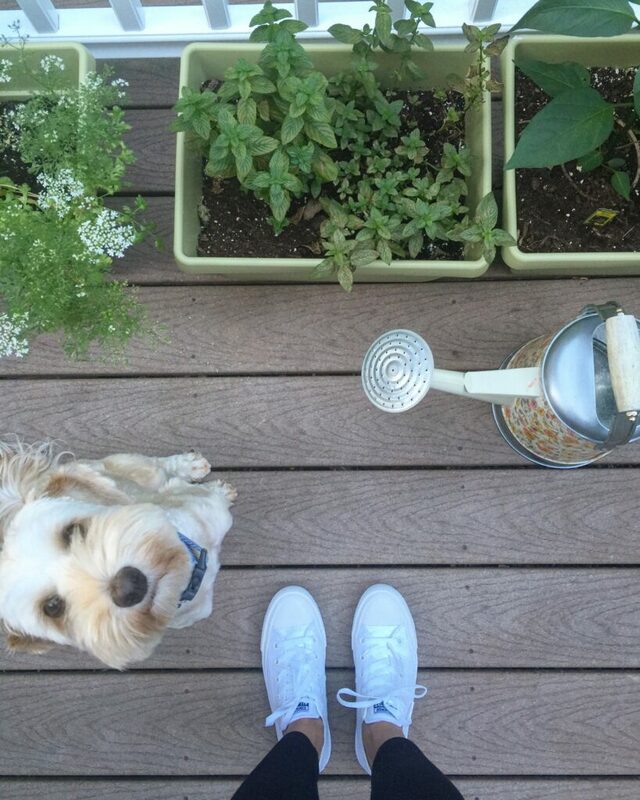 I have been so into gardening this year – yes to ALL the mint. (and other herbs, and jalapeno plants!) I think I need to stop working and go make make simple syrup right this very moment! P.S. Our yard has a huge oak tree that gets all the shade, but there is a small sunny section where we grow tomatoes, kale, lettuce, green beans etc. it’s a ton of work and hard when you aren’t home but I could totally see you getting into it! I am definitely going to miss having access to fresh garden herbs once it gets cooler. 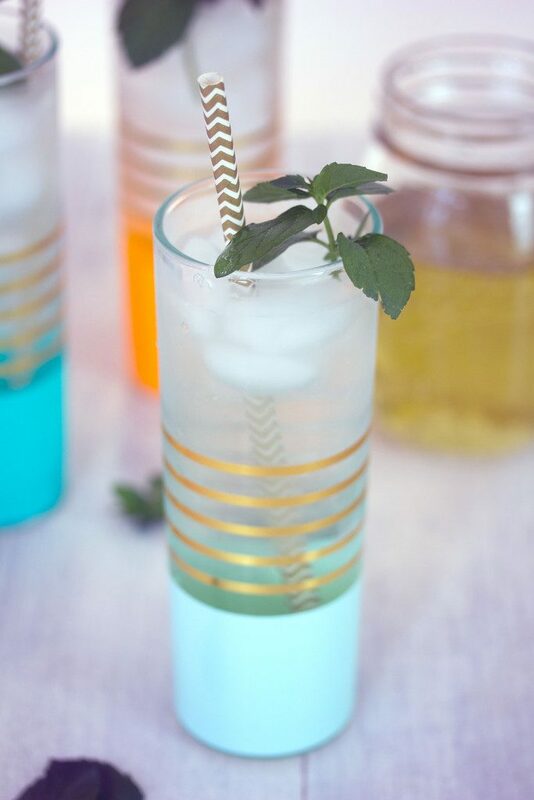 Love that you guys are growing chocolate mint – this drink is the perfect way to use some up! So so pretty! Who needs a full blown garden when you can have a deck garden? SO much easier to manage! And hey, at least you can have that! I can’t have any type of garden because the dang deer. They just eat everything. Womp Womp. I should just come visit you. 😉 hahaha. Anyways, using your herbs for simple syrups is GENIUS! I mean YES to always having a flavorful simple syrup on hand for cocktails!! 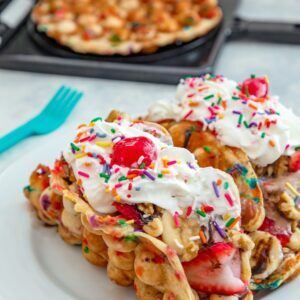 These look absolutely delicious, Sues! I bet that chocolate mint simple syrup is amazing!! Cheers, girlie! One of my dreams is to grow fresh herbs for food and drink one day! Love those fun cups! 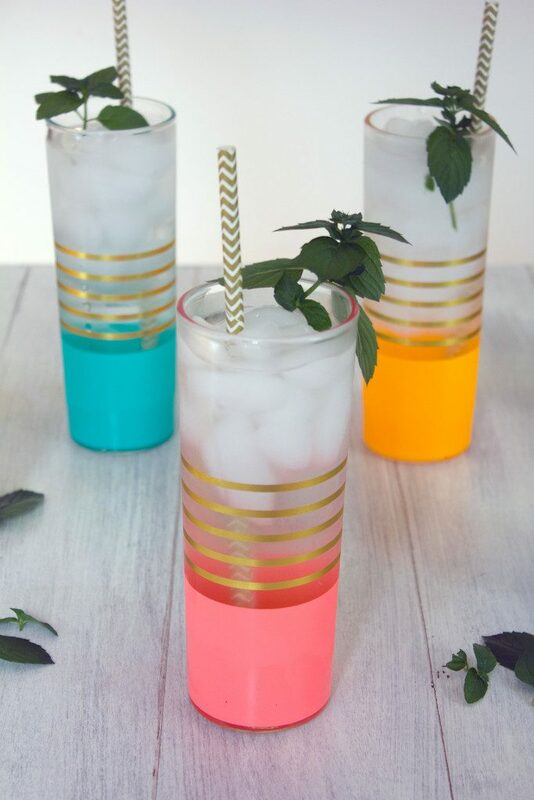 Chocolate mint is sooo good, I definitely need to try planting it next year and to make this cocktail. We share garden goals! I’m already planning for next year, and have been intrigued by chocolate mint. 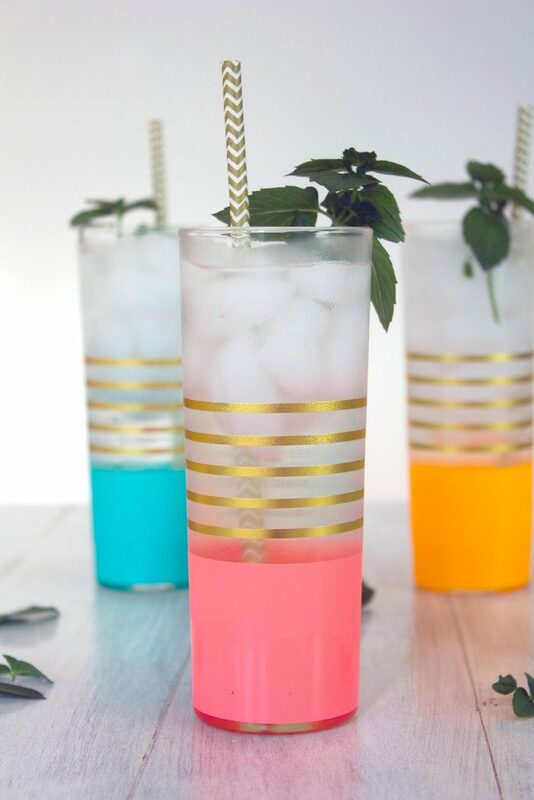 I love the idea of using the syrup in this cocktail. I think you’ve sold me on chocolate mint! Yes! I have been looking for recipes to use my enormous stash of chocolate mint in. Love how you incorporated it into a syrup. 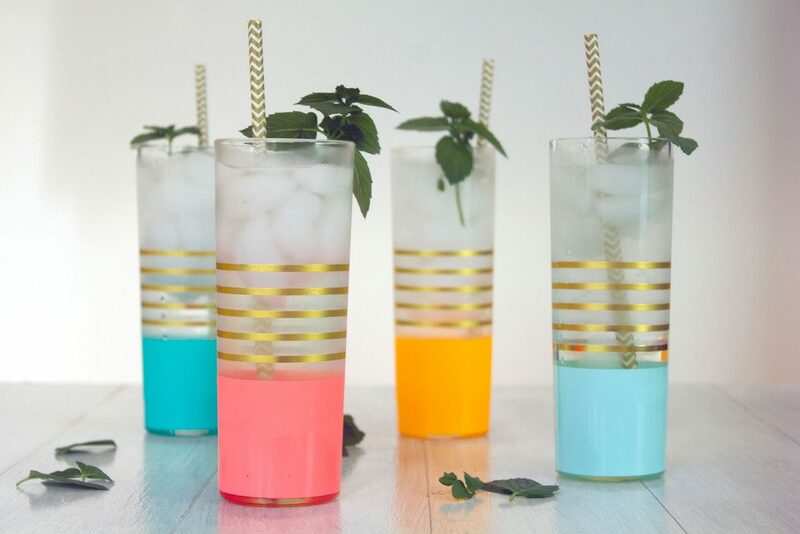 I love mixing my coconut La Croix with white rum, mint, and lime for a lower cal mojito, but chocolate mint and gin sounds awesome!